European natural gas traders stand to lose about $1 billion in sales to Ukraine, according to Bloomberg. Companies from Eni SpA to Uniper SE will see combined gas shipments to the east European nation fall by about that amount after a Stockholm court ordered Ukraine to resume some imports from Russia after a break of more than two years. European Union companies first started selling gas to Ukraine in 2013, with the new market helping offset a slump in domestic demand at the time, Bloomberg wrote. 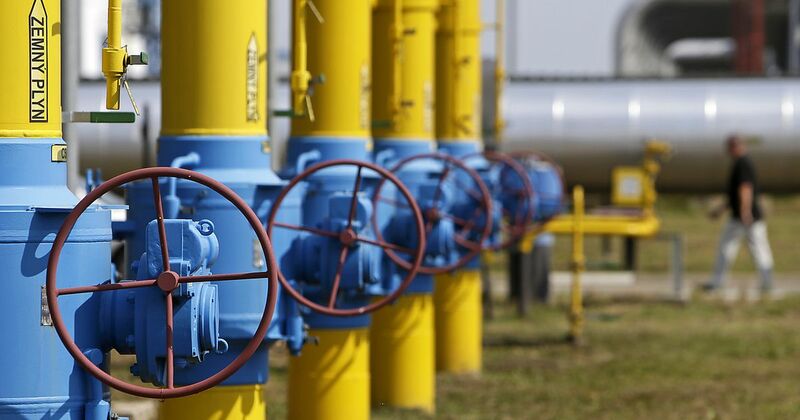 Ukraine imported 14 billion cubic meters of gas from the EU last year, comparable to Belgium's annual consumption. From this year, state-owned NAK Naftogaz Ukrainy should import 5 billion cubic meters under its contract with Russia's Gazprom PJSC through 2019, and has to pay for at least 80% of that, according to the court. Read alsoGas imports up 27% in Ukraine in 2017That volume is worth as much as $1.2 billion, assuming 5 bcm is supplied at the average price Ukraine paid for imports last October, according to the most recent data from its statistics service. The court linked the price to be paid to Russia for gas to German hub rates, Naftogaz said without elaborating. France's Engie SA was among Ukraine's top suppliers in 2016 with a volume of more than 3 bcm. That was "a record year," while sales last year decreased by about 40% because of stronger competition, the company's press service said by email. "With Naftogaz potentially buying Russian gas in 2018 and 2019, Engie is enhancing its strategy of selling in Ukraine to final industrial customers that was started last year," it said. Swiss-based Axpo Trading AG, another major supplier, "is in the process of establishing a local Ukrainian company to be able to trade directly within Ukraine," its press service said. Read alsoPoroshenko: Ukraine may start buying Russian gas if its price lowGazprom has said it's ready to resume supplies to Ukraine once all debts are paid and on the condition that deliveries are paid in advance. The court decided that Naftogaz owes more than $2 billion for volumes delivered in 2014, according to Gazprom. Naftogaz said all payment issues would be cleared up once there's a court ruling on the gas transit contract between the companies, which is expected by end-February. As UNIAN reported earlier, Naftogaz won a gas sales arbitration case against Gazprom on all disputed issues. The Tribunal at the Arbitration Institute of the Stockholm Chamber of Commerce on December 22 completely rejected Russia's Gazprom take-or-pay claims to NJSC Naftogaz of Ukraine amounting to US$56 billion for 2012-2017.